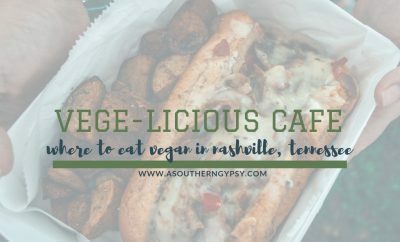 Veganism is growing every day. I’m constantly seeing articles and statistics about the growth of veganism and the decline of the dairy industry, egg industry, veal industry and more. That’s all amazing but it’s still not enough. Our planet, our health, and the animals are still suffering due to the consumption of animal products. 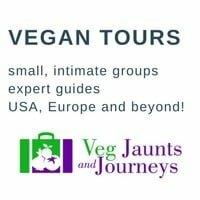 Maybe you’re already vegan but aren’t as knowledgeable or well-spoken about topics as you’d like to be or maybe you’re interested in learning more about veganism? 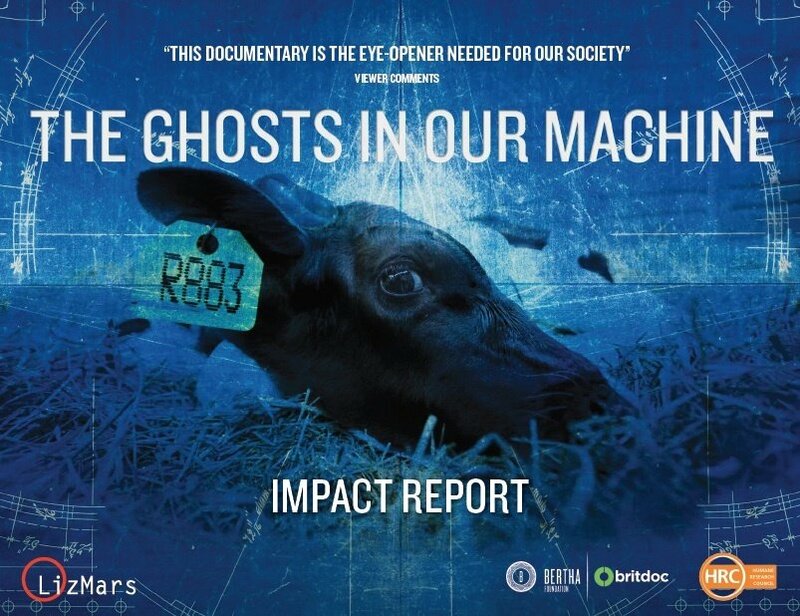 Check out these vegan documentaries that everyone needs to watch. 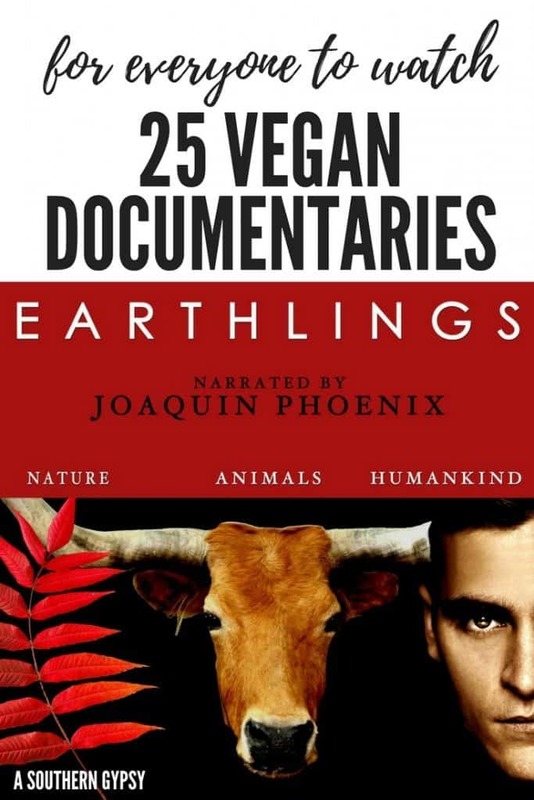 Earthlings has been dubbed the “vegan maker” due to how quickly people have turned to a vegan lifestyle after watching it. It’s not for the faint of heart and definitely not for children to watch unsupervised but it is, without a doubt, the #1 documentary I recommend to people. It covers the ethical aspects to veganism by showcasing the atrocities and exploitations committed against animals in the food, fashion, testing and other industries. 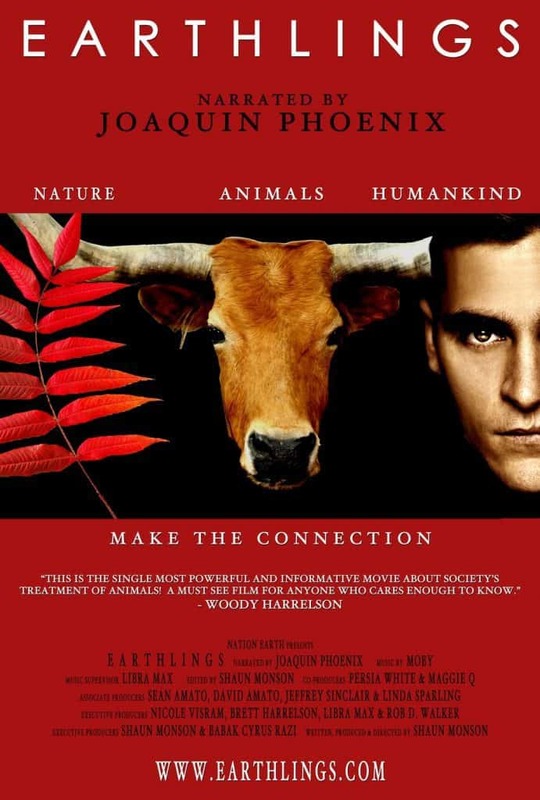 Go to their website to watch Earthlings for free. Cowspiracy is my go-to documentary for individuals interested in the environmental impact of the animal agriculture industry. The film takes an in-depth look at global warming, deforestation, water use and ocean dead zones. Before What the Health, Forks Over Knives was the most commonly mentioned health documentary in terms of veganism. It’s still 100% worth a watch. The film advocates a low-fat, whole-food, plant-based diet as a way to avoid and/or reverse many medical conditions. Vegucated is a sociological experiment that follows three heavy meat and cheese eaters in New York who agree to try a plant-based diet for six weeks. It’s both heart-warming and motivating to watch them uncover the hidden sides of animal agriculture, the negative aspects that meat and dairy have on our bodies and more. 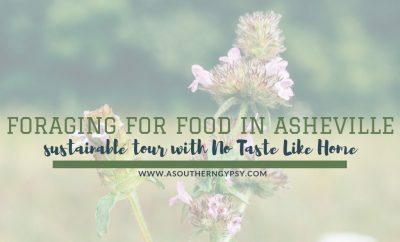 Food Choices follows filmmaker Michal Siewierski during his exploration on the impact that food choices have on people’s heath, the environment and the animals. The film includes interviews from some plant-based favorites – Dr. T Colin Campbell, Dr. John McDougall, Dr. Michael Greger and many more. Watch Food Chocies on Netflix. This documentary became one of my favorites when I saw it. It’s not talked about as much as some of the others – actually I hardly hear it mentioned ever but it’s so beautifully done. It’s no surprise that the photojournalist behind it is Jo-Anne McArthur. 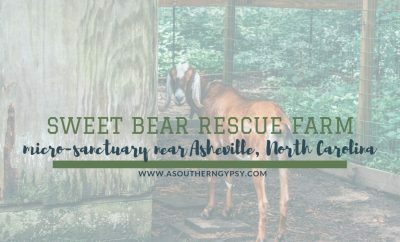 It illuminates the lives of animals living within and rescued from the “machine” of our modern world. It shoes undercover investigations and rescue missions through the food, fashion, entertainment and research industries. Watch Ghost in Our Machines here. Another documentary not talked about a ton is Live and Let Live. 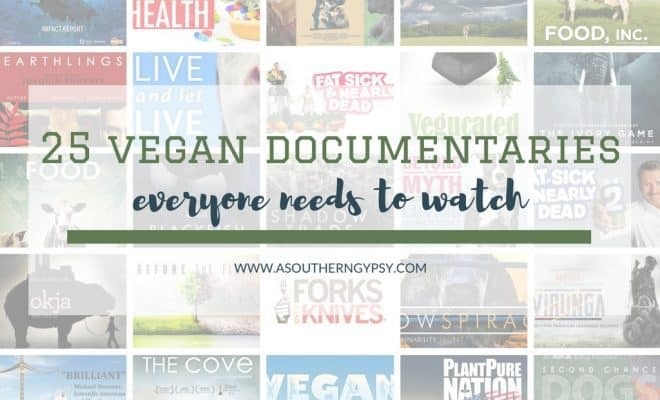 It follows six people who have switched to veganism, including former butchers and factory farmers as they share their stories to examine the relationship between animals and people. Watch Live and Let Live on Netflix. The documentary tells the story of three people on a quest to spread the message of one of the most important health breakthroughs of all time. Watch PlantPure Nation on Netflix. This is a feature-length documentary that follows the lives of four very different people who all are vegan. It follows an ultramarathon runner with an addiction past, a cattle rancher’s wife who turns the ranch into a sanctuary, a food truck owner cooking up plant-based foods and an 8-year-old girl who convinces her family of six to go vegan. Watch Vegan: Everyday Stories here. The dog meat industry in Asia has gotten a lot of attention recently due to the Olympics being held in Korea. The reality is that it’s no different than what we do to animals in Western countries. Shadow Trade is a documentary that exposes the illegal dog meat trade in Thailand. It follows the tragic story from the streets where dogs are stolen, across The Mekong and into Vietnam where they are slaughtered. Watch Shadow Trade on Netflix. This one follows a man as he explores the underground world of factory farming and soon learns about the idea of speciesism. 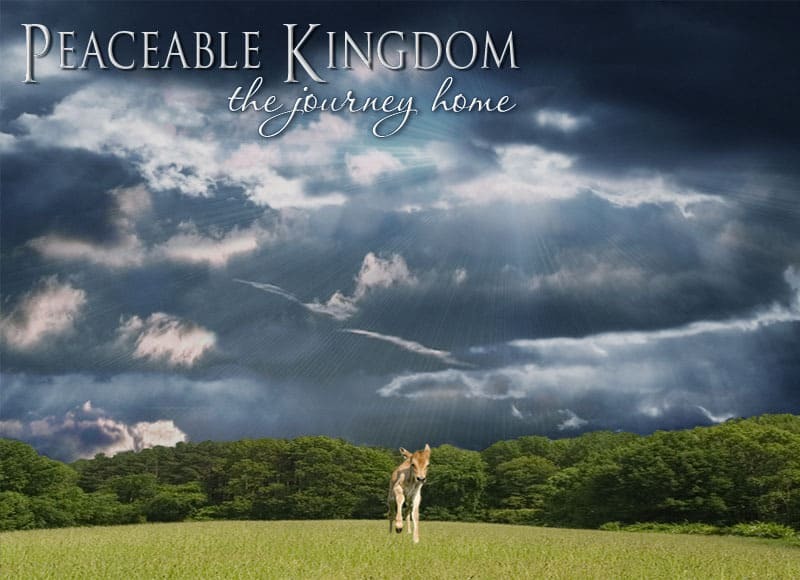 At a time when we’re hearing of more and more farmers going vegan, Peaceable Kingdom explores several people who grew up in traditional farming culture and have now come to question their way of life. Unlike the others on this list, Okja is not a documentary. It’s actually a Netflix Original film but the message behind it is powerful and will leave you questioning what’s on your plate. It follows the story of a young girl who has raised Okja for 10 years at her home in the mountains of South Korea. 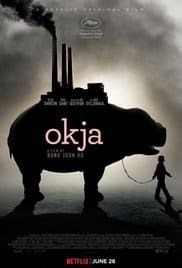 However, a corporation takes Okja for themselves with big plans but the young girl sets out on a rescue mission. Watch Fat, Sick and Neary Dead (1 &2) on Netflix. 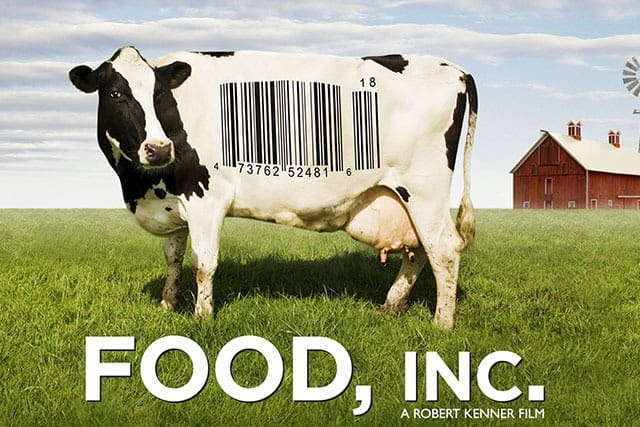 Watch Food, Inc. on Netflix. Since I’m a pitbull mom, they hold a special place in my heart. I hate that they have been mistreated, mislabeled and misunderstood for so long. Fun fact – they actually used to be “nanny dogs” because they are so good with children. Here are a few documentaries focused on dogs and pitbulls specifically. Watch Second Chance Dogs on Netflix. 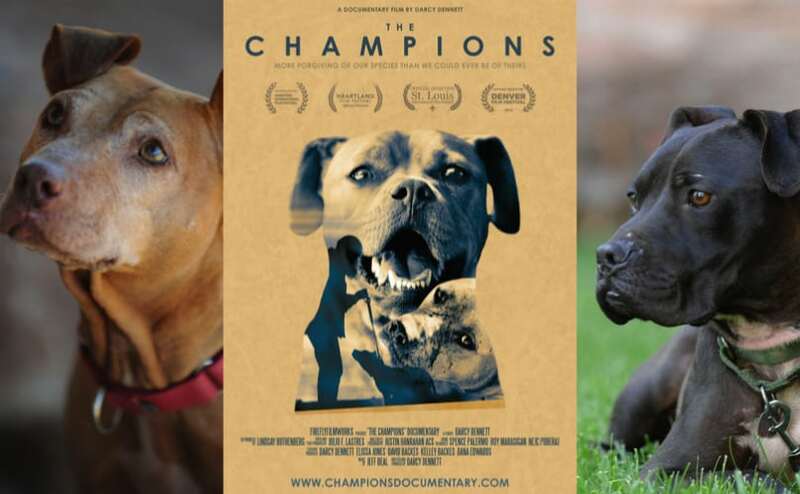 This documentary is an inspirational story about the pit bulls rescued from the brutal fighting ring of former Atlanta Falcon’s star quarterback Michael Vick, and those who risked it all to save them. This uplifting documentary takes us on a journey about much more than just dogs—about prejudice, being misunderstood, the power of resilience, and the significance of the relationship we as humans have with animals. Watch The Champions on Netflix. This is a film about dogs commonly referred to as “pit bulls” and those who love and defend these breeds. Watch Beyond the Myth here. Veganism doesn’t stop with what we put in our bodies or what we put on our bodies. We should also all be aware of the issues threatening wildlife including captivity, hunting and poaching. 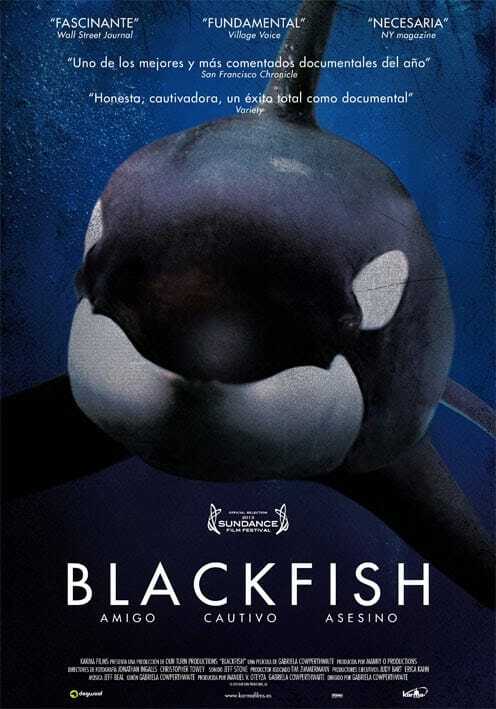 Blackfish exposed Seaworld for what it really is and made a lot of positive impacts on how people view orcas in captivity. Yet, people are still paying for these “experiences.” It is still one of the documentaries I recommend the most. This documentary, of course, takes a look at the ivory industry which gains much international attention but is still a very real threat. Watch The Ivory Game on Netflix. The Cove follows an elite team of activists, filmmakers, and freedivers as they embark on a covert mission to penetrate a remote and hidden cove in Taiji, Japan, shining a light on a dark and deadly secret. Here are five documentaries coming out this year that I’m really, really pumped about seeing. I’ve heard several of them are going to be gamechangers for sure. Eating Our Way To Extinction Concept Trailer BDFP from Broxstar Films on Vimeo. DOMINION (2018): A feature-length documentary (Indiegogo campaign) from Aussie Farms on Vimeo. Which of these documentaries have you watched? 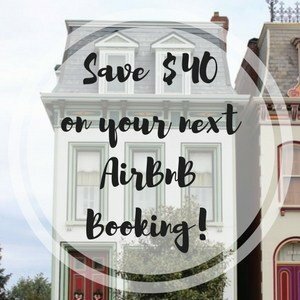 Are there any missing from the list?